Forget about buying costly plane tickets and making hotel reservations this spring break. There are plenty of spring break destinations, complete with palm trees, sandy beaches and ocean breezes, right here in the United States. The following three East Coast destinations are the best of the best for your spring break 2016 adventures. 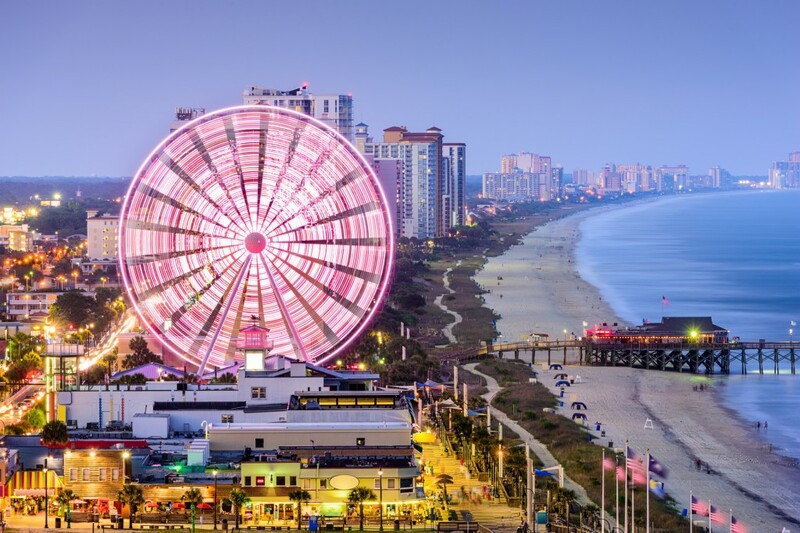 Myrtle Beach has been a hot spring break destination for decades, and it’s an ideal nearby destination for travelers who want all of the spring break action without the high prices or plane tickets. Park your RV steps from the sand, eat your fill of fresh seafood, stroll the Myrtle Beach Boardwalk and see live music at the House of Blues. Whether you’re looking for an action-packed family getaway or an adults-only escape, Myrtle Beach offers something for everyone. Jekyll Island is a spring break destination for those who want a place to relax, listen to the crashing waves and enjoy plenty of time in nature. This beach oasis, just an hour’s drive from historic downtown Savannah, is a place where you can still enjoy plenty of space on the sand all to yourself. Traditional southern beach houses, unhindered ocean views and charming shops and restaurants offer the low-key spring break beach excursion you’ve been craving. There’s no better place to escape the cold and enjoy a true tropical spring break feel than in Florida’s Keys. Islamorada, located just beyond Key Largo, offers turquoise ocean waters that are ideal for snorkeling, scuba diving, paddleboarding, fishing and just about any water-based activity. The tropical town’s cool seaside restaurants, famous bars and cartoonish palm trees are enough to create an unforgettable spring break. Ensure that your spring break travels go off without a glitch by stopping to see us at Fretz RV in Pennyslvania before you go. Our certified RV technicians will de-winterize your RV and make sure it’s in top condition for an East Coast excursion.